When a conventional dog bath isn't practical, it's QuikClean waterless shampoo to the rescue! Is your dog the type that really dislikes getting a full water bath? Perhaps your pet is one of those that manage to get dirty at the most inopportune times, when you simply can't stop to give him a full bath. No matter which category your fur ball falls into, waterless shampoo can be a great alternative to a traditional tub and shampoo bath. Let's learn a little bit more about what it is and how it works. Waterless shampoos are cleaning agents that come in both liquid and foam formulas. 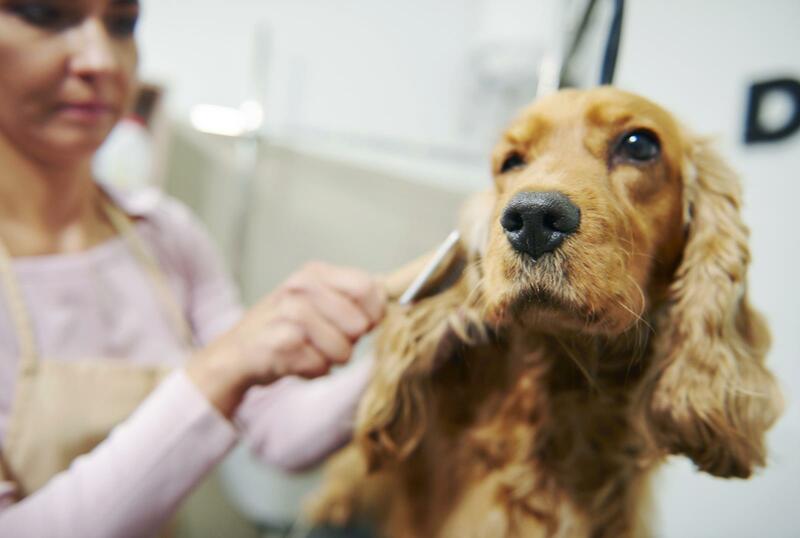 What makes them "waterless" does not pertain to the ingredients in the formula, but rather to the fact that there's no need to wet your dog's fur before applying the shampoo, or rinse the product out when you're finished. This is quite different from traditional shampoos that would leave you and your dog with a sticky mess if you used them without water. Sounds more convenient already, doesn't it? Waterless dog shampoo is very easy to use. Just follow these simple instructions, and depending on your pet's size and the amount of area you want to clean, you can have a freshly bathed dog in approximately ten minutes. Apply the waterless shampoo product directly to the area you want to clean. The amount you use will depend on the area you need to cover. You can start with just enough products to moisten the fur and add more shampoo as needed. Thoroughly massage the shampoo into the fur and scalp until it forms enough lather to break up dirt, oils and other pollutants. Use a cotton or paper towel to gently remove the excess moisture from the fur. Gently brush the dampened fur to remove debris and detangle the coat. Let the coat air dry or blow dry as needed. QuikClean Waterless Shampoo from long-time dog supplier Fort Dodge is one of the best selling alternative dog shampoo brands on the market. A combination of natural conditioners, lanolin and optical brighteners effectively shampoos your dog's coat, leaving it smelling fresh and looking brilliant. This product is pH balanced so it's appropriate for dogs and puppies. In fact, you can even use it on cats and horses. When used according to the manufacturer's directions QuikClean is very safe for your dog. It contains no harsh chemicals to irritate your pet's scalp, but you do need to be careful not to get the foam into your dog's delicate eye tissues. If this happens, you should rinse the area thoroughly with cool water and call your vet immediately for further instructions. There are plenty of occasions when using a waterless shampoo is more convenient than a conventional bath. QuikClean Waterless Shampoo and similar products make it possible to shampoo your dog under almost any circumstance in a fraction of the time it takes to give a conventional bath. Keep one bottle on hand in your home, and another one in your car so you're always ready to handle whatever kind of mess your pet gets into. 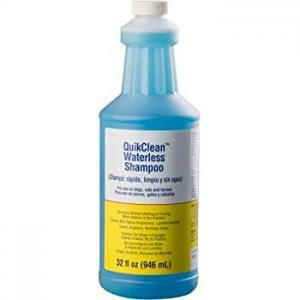 You can purchase QuikClean at many local pet supply stores as well as VetAmerica.com and EntirelyPets.com.